SRINAGAR (INDIA) - Amnesty International on Wednesday reiterated its call for a ban on pellet-firing shotguns used by Indian forces in Kashmir to quell civilian protests. In a report the rights group said it had interviewed 88 people whose eyesight had been damaged by the metal shot from the pump-action guns. Two of the victims had been completely blinded. "The injuries and deaths caused by this cruel weapon bear testimony to how dangerous, inaccurate and indiscriminate it is," Akar Patel, executive director at Amnesty International India, said in a statement. "There is no proper way to use pellet-firing shotguns. It is irresponsible of the authorities to continue the use of the shotguns despite being aware of the damage they do." 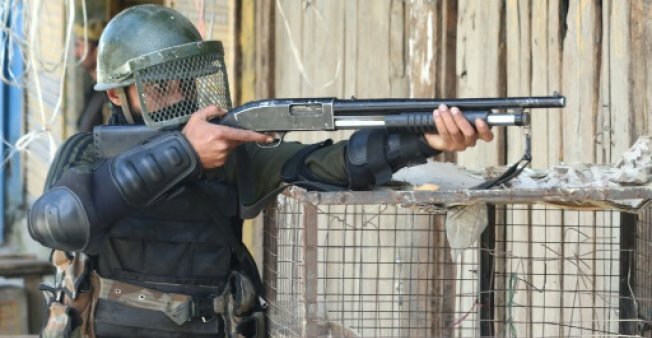 Government forces in Indian-administered Kashmir have been using pellet guns since 2010 as a "non-lethal" weapon following widescale civilian protests against Indian rule. After a spate of gruesome injuries last year that earned the title "epidemic of dead eyes", Amnesty and other rights groups called for a complete ban on the use of the shotguns. "In some cases, those injured by pellet-firing shotguns still have the metal pellets lodged in their skulls, near their eyes," said Dr Zahoor Wani, the lead campaigner in the group. In its report, Amnesty said it interviewed people aged from nine to 65. Among them was nine-year-old Asif Ahmad Shiekh, whose eyes were damaged by the pellets. "Watching cartoons on TV, playing with my friends on the street, reading books for hours -- this is what I dream of now," the report quoted him as saying. Rebel groups have fought for decades, demanding independence or a merger of the former Himalayan kingdom with Pakistan. Amnesty International on Wednesday reiterated its call for a ban on pellet-firing shotguns used by Indian forces in Kashmir to quell civilian protests.